Cire Trudon Spiritus Sancti (Incense) Grande Candle flickers of crimson, gold and olibanum, a holy perfume of altar candles. Luxurious wake of censers filled with burning amber and under the nave the choir jubilates, heavenly scents caress their souls. Fragrance Notes: Head: aldehyde, incense vapors. Heart: lily of the valley. Bottom: incense, labdanum, benzoin. 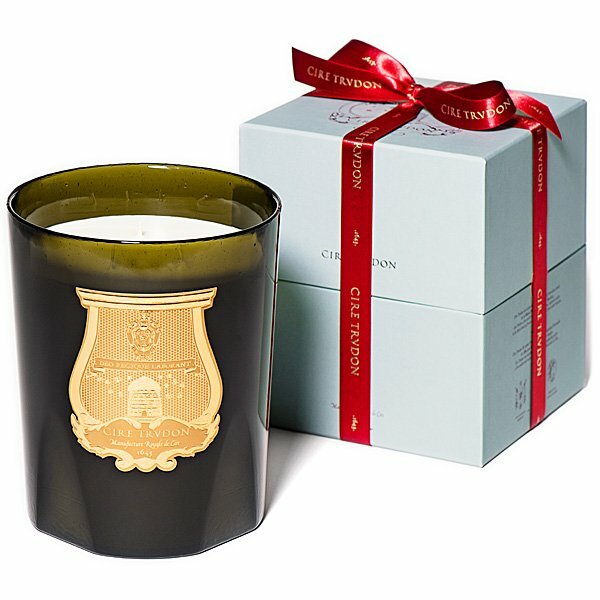 Cire Trudon’s flagship item, this over-sized large perfumed candle weighs over 6 lbs, is adorned with the Trudon blazon, has 5 wicks and burns for over 200 hours.